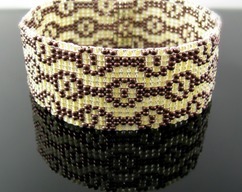 This bracelet woven on a bead loom after one of my own patterns was inspired by my image of vintage fabric. 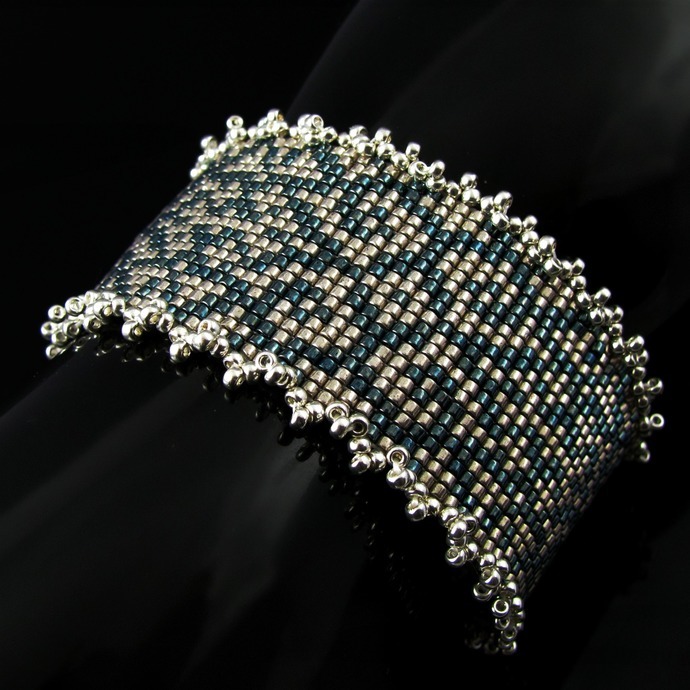 It is made in a lovely combination of shiny galvanized pewter and blue Delica beads with an edging of lighter galvanized silver Miyuki seed beads in a wavy picot. 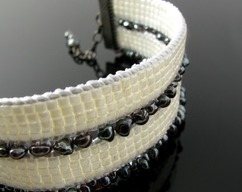 The cuff is finished off with silver colored ribbon crimps, a pretty textured silver colored chain and toggle clasp matching the pattern's theme. 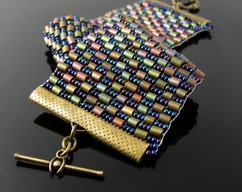 It is 19 cm or 7 1/2 inch long, but I'll be happy to add more chain if needed. 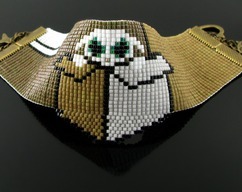 If you like the pattern, but would prefer a different color combination, let's talk about it!